Police are seen in Bourke St. in Melbourne, Australia, on on Nov. 9, 2018. 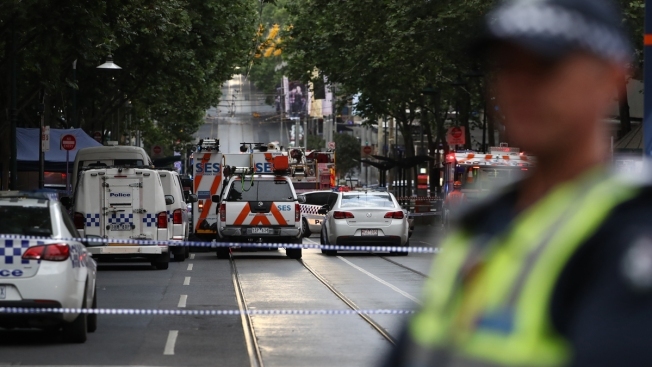 A man was shot by police after setting his car on fire and stabbing three people, killing one, in Bourke St. mall. Victoria state Premier Daniel Andrews said the attack was "an evil and terrifying thing that has happened in our city and state today."